SmartRock2 is a rugged, mobile app-based wireless sensor for monitoring the temperature of concrete from fresh to hardened stage. It also estimates concrete strength, based on the maturity concept. The SmartRock2 can be placed in the concrete formwork, no more than 3" deep (installed on the rebar) before pouring, to monitor the temperature of concrete in situ. 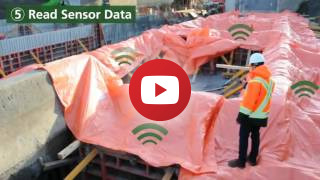 The continuous measurements are recorded on the SmartRock2 memory and can be downloaded at any time during the concrete setting and hardening onsite using the mobile application on a smartphone or tablet device. 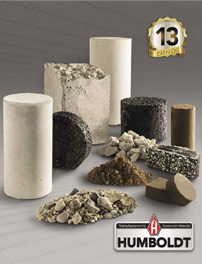 Monitor the temperature and strength of concrete from your smartphone.